A TEAM of 32 doctors and nurses provided free medical service to people of Navua and surrounding areas at the Lomary Catholic Primary School on Thursday. The team includes six general practitioners, four nurses, three dentists, one dental processor, two eye specialists, three pharmacists and two gynaecologists. They are members of Sathya Sai Organisation of Australia — a non-governmental organisation. Team leader Dr Gunu Naker said they saw more than 3000 people at Tavua, Ba, Sigatoka and Navua. “Many people come for eye check, blood pressure, heart check and skin rash,” Dr Naker said. “Some problems we had were people didn’t bring their medication and glasses, so we are unable to offer much advice whether they should continue with that medication or start with the ones we give,” he said. The main aim of the group was to provide free medical service to people in rural areas, who would otherwise could not go to hospital because they can’t pay for transportation. Ranadi Rokosalu had a free check at Lomary. The team was in Nadi yesterday. MORE than five hundred people of Nadi took advantage of a free medical camp set up by medical professionals associated with the Satya Sai Organization in Australia. Team leader Doctor Gunu Naker who is a general practitioner based in Australia is in the country with a team of more than twenty highly trained specialists and general practitioner doctors. Doctor Naker told Fiji Daily Post that the medical camp trip to Fiji which started last year is getting popular every year. “Last year we were able to see over three thousand patients,” Doctor Naker said. He said all medical services including specialist diagnosis given to patients were absolutely free. “The Satya Sai Organization is not a religious but a spiritual organization and service to mankind is an absolute priority,” Doctor Naker said. He said the medical wing of the SSO in Australia has a team of thirty medical professionals and there is a sister team based in New Zealand as well. “Our Kiwi counterparts have been coming over here for the past four years now and they mostly concentrate in Vanua Levu but they have spent two days in Viti Levu during their last visit as well,” Doctor Naker said. He said the medical conference was well attended by the medical fraternity and is gaining momentum each year. “Students from the school have been joining us as well ever since we started last year and it is nice to have them amongst us as they get to learn a lot from their experiences,” Doctor Naker said. He also thanked the management and staff of Andrews Primary School for providing the venue for yesterday’s medical camp. For this special article, we have a former student of Bhagawan Sri Sathya Sai Baba‘s Institute, Sri Y Arvind, deliberating on the most important virtue – Humility. People may be perceived to be great on the basis of their office or lineage. This may suffice for a period of time such as their term in office or perhaps their lifetime; but for a person to be truly great in the historical sense, there must have been a really significant achievement. More than this achievement, the personal traits matter. The character of the person with office and to an extent the lineage, give a measure of his or her greatness – or other wise. The world as we perceive it today has returned in full to the time when it all began. The Stone Age – when man first learnt to think and live – not merely exist – he first realised that might is right and so attempted to be on the right side of the line that demarcated the ruler and the ruled. But history has always proved to be a story of great men and women, warriors, kings, monarchs, prophets…every one of them has a place in history. But why is it that few find a place in the true annals of time as great people? Why does the fact remain that even in a dynasty of rulers some receive greater attention and are termed ‘great’ while others receive only passing mention. Any historian would answer pointing to the special qualities of the stalwarts for only the great leave indelible footprints on the sands of time; only the noble perform deeds worth emulation; only the courageous inspire man to better his best and only the humble teach not by mere precept but by example that to be able to serve is a prerequisite to be served. Humility is indeed the hallmark of the great. Humility, more often than not, is misinterpreted and misunderstood to be a synonym of meekness and servility. But humility is itself power. History gives testimony to the power, latent in a silent humble man – “beware the anger of the patient man” warned Confucius. From the Chinese Taoist Lao tzu to Mahatma Gandhi, from Lord Jesus to General Montgomery, their lives are an infallible vindication to this fact. Any action or venture that involves other people or developing a rapport with other members of society – demands first a patient ear and then a humble bearing, virtues of humility and reserved speech that call for greater attention, than pompous mien. The desiderata found in St Paul ’s church dating back to ages before the advent of modern philosophers, says, “give every man thy ear but few thy tongue; be on good terms with all but without surrender.” Bhagawan Sri Sathya Sai Baba simply says “you cannot always oblige but you can speak always obligingly”. In Chinese philosophy water is attributed the quality of humility. In fact Lao tzu writes “How did the great rivers and the seas get their kingship over the hundred tiny streams? Through the merit of being lower than they; that was how they get their kingship.” Tomas A Kempis, a medieval Christian writer wrote, “No man can safely appear in public unless he himself feels that he would willingly remain in retirement. No man can safely speak who would not rather be silent. No man can with safety command who has not learnt to obey.” Such words though profound in wisdom – regretfully also have a less appealing implication – the modern politician. The present day scenario in the political world, is a scene so disturbing that the less it is thought of the greater the peace. There could be no greater folly than such an attitude. Why did this situation arise? Unfortunately this far reaching hydra headed monster of the nexus between politics and criminals has its roots in the words of Tomas A Kempis. How? The answer is: beginning as a stooge – a minor antisocial element, a ruffian, a hired muscle, a man makes his way up. He obeys his master’s slightest wish, he serves humbly catering to his master’s whims. Then using this façade of humility inches his way up – callously eliminating any competition. He gains the favour of his master, becomes his right hand man, learns the trade and realizes the best market for a man like him and hey presto! – you have a politician. Here in brief is the making of a great man…the great escapist. They don the mantle of responsibility bear the titles that proclaim authority and make a song and dance about their honesty. In all their attempts they could not have been more dishonest. Ripping apart the fabric of their country for their own selfish gains; these looters play with the lives of the very same populace that once fed them. The political arena has been used only as an example to portray the hollowness of an escapist’s mind. Their reach extends into all walks of life and so life today is not life but a struggle for existence. The very same noble qualities that have been the bench mark for the judgement of greatness have been undermined by these escapists. Every leader is not granted the epithet of ‘great’. What makes him great? The philosophers give the answer. They envisaged a leader who practiced humility – being neither assertive nor talkative yet strong and capable. That is the spirit of a great man. John Ruskin wrote in his ‘modern painters’: “I believe that the first test of a truly great man is his humility. I don’t mean by humility dearth of his own power or hesitation in speaking out his opinions; but a right understanding of the relation between what he can do and say and the rest of the world’s sayings and doings.” The most important quality of great people is that not only do they know their business, they are also aware what exactly it is. They not only know how it is done but also how to do it. That makes them a class of their own apart from the losers. Every man has an idea of how a job is to be done, but few know how to do it exactly. Some feign the attitude of not being confident enough to do it – knowing fully well that they have absolutely no idea how it is to be done – the mark of the escapist. This attitude of humility leads to an impression on the observer that “oh yes! Here is a man who knows his limits.” Actually though the man knows nothing at all. In the same vein ‘the great’ have a real estimate of their own capacities. They have no intention of feigning. For them a spade is a spade is a spade – nothing else. They do not live under the delusion that they are actually the ones performing the deeds. Instances are many where the ones whom history has recognised and honoured, have concluded that their achievements are of infinitesimal value in comparison to what remains unknown and unachieved. The people of Athens were surprised to hear the oracles verdict that the wisest man in Athens was Socrates. When questioned the philosopher, he replied “I know that I know not”. A simple answer which conveys in depth the attitude of the truly great. In a layman’s perception there is an ocean of wisdom and experience – but they are aware of the true extent of their knowledge and intellectual powers. Albert Einstein when questioned on the future work on his unified theory (QED) replied with an analogy which to this day acts as a driving force – a source of inspiration for scientific research. Einstein said he was a little boy playing with the least valuable pebbles and shells on the shore of a mighty ocean and now he had realised that the true value – the mighty ocean lay unfathomed and unexplained. This was said in true spirit – for, after all his research, Einstein’s dissatisfaction could be assuaged only when he came to accept this fact – that he was but limited in his intelligence and power, whereas creation had much more than he could master in a single life time. It came not as a surprise, not even as a disappointment to a witness – of the world’s degradation into chaos. Disillusioned law makers – the honest ones have confessed that laws today are passed such that one may live at the expense of another. Ayn Rand explains it in her novel “Atlas Shrugged”. This leads to a deepening of the rift that separates the rich and the poor; dissatisfaction on one hand and selfishness on the other widen the gorge till a day will finally dawn when the chasm cannot be bridged – yet there is hope. There is hope in the heart of man. The Roman Consul Quintus Arrius is known to have said, “Hate keeps a man alive”. But no – it is not hate but faith and hope that keep a man alive. “What the world needs today are men and women of good character”, said Bhagawan Sri Sathya Sai Baba. They must have the capacity to work and the humility to serve. Lord Jesus said to his quarrelling disciples “…which is greater, one who sits at the table or the one who serves? It is not the one who sits at the table, but I am among you as one who serves.” The emphasis on humility in leading the world is unmistakable. In every sphere of life the ability to accept ones mistakes is paramount. The episode that involves Thomas Edison and the light bulb is well known. After many long hours of hard work an electric light bulb was manufactured and a young assistant was given the responsibility of carrying it to the inventor’s study. But on the way – despite cautions, the bulb slipped from his grasp and shattered against the floor. There was no admonition from Edison . Wearily the group returned to the work table and resumed their attempts – another bulb was made and Edison picked it up. Looking around he spotted the laboratory assistant and called him – the same boy as before. A gesture of faith and understanding. Faith in others develops when one comes to grips with one own fallacies. And the fallibility of the human mind and system. Nothing is infallible. Yet nothing is impossible. It is to make this possible that one must strive to develop humility. “Greatness lies not in doing extraordinary things but in doing ordinary things extraordinarily”…for the escapist greatness lies in getting things done by others while himself taking the credit. It is akin to a system when if a particular project succeeds the person in charge gets the credit on the other hand if it fails; the men who actually worked on the project get their knuckles rapped. An escapist stacks the cards before he plays a game. And for sure he is to win. But when time finally weary of the game and in a swift moment lays bare the truth – the consequences are understandably unpalatable. Life will then reveal itself in its most bitter form to this man. The world’s dictators are examples for this frame of mind. Hitler blamed his losses on the incompetence of his generals and subordinates. While as a leader it was expected of him to take the blame for the losses. The embezzlers, forgers and all other men of their like make us of the façade of silence and meekness to hide their nefarious activities. The country – India today has been rocked by the scandals. Not merely their proportion but also their number. There were no scapegoats this time but still the accused are not reprimanded seriously. Why such incompetence? It is said vice does not roam alone; it always has half a dozen of its sisters along with itself. When assailed by such a predicament as this what does the country do – sit silent? Live in the false assumption that everything will one day turn out fine? Malcom Forbes said, “When things are bad, we take comfort in the thought that they could be worse – and when they are, we’ll find hope in the thought that things are so bad that they have to get better.” Whether the statement was made with sarcasm or in true spirit of optimism is uncertain but for certainty it applies here, in this context. Such decadence in temperament will add to further downfall of the global infrastructure. True men are needed, men of valour and courage. People who dare to think and speak out their thoughts. Open minded people are those who have the broad mind to accept a view yet possess the discrimination to judge the right from wrong. Draw a line where it is to be drawn and not hesitate to take a heavy decision. Such people can exist in this world. They do, and still remain unseen and unheard. This is their true hall mark. Silent service; humble workers for the betterment of humanity. It is said, “an activist is not the man who complains that the river is dirty, an activist is the man who cleans it up.” Merely complaining and letting the issue rest at that is escapism. Taking up the cause, working for it and succeeding is genuine concern. Greatness lies in being able to place oneself in the others shoes. To be able to look at an issue from all possible stand points and then come to a conclusion. John Stewart Mill says “There is always hope when people are forced to listen to both sides of an argument”. Fairness and justice are sought by people today. But who are the ones to hand them their true claim? People will trust only those individuals who are able to bring themselves down to the level of the people. General Montgomery made it a point to know the names of all his officers – this endeared him to all of them and he was called ‘Monty’. General Slim who had the heart to send a private home since his mother was sick and dying won the hearts of all his men and they called him Uncle Bill. To be able to communicate on par with others requires humility. This is what people expect when they speak to a superior. Bosses are never liked leaders are; because a leader leads, but a boss merely show the way and follows behind the group. In fact life must be lived so that one may have no need to hide ones diary. An escapist may succeed, but he shall inevitably fall victim to his own ways of lies and deceit. The truly humble and tolerant man shall live not merely in the pages of history but in the hearts of men. In the eyes of generations to come, as an ideal, an example, a vindication to the fact that humility is indeed a hallmark of the great. The Sri Sathya Sai Institute of Higher Medical Sciences’ super-specialty hospital in Whitefield, near Bangalore, offers free heart surgeries to people from all walks of life. Till date this hospital has conducted nearly four lakh surgeries, according to hospital staffers, who point out that there is no billing counter here. The hospital’s mission is to ‘provide high quality medical care absolutely on a no cost basis to all irrespective of caste, creed, religion, and financial status in an overall spiritual environment which recognises the patient as a human being and not as a diseased entity’. The hospital is situated on a sprawling 53-acre complex. A large number of patients, young and old, rich and poor, get their heart problems treated free of cost. Some treatments would cost Rs 4 lakh in other medical facilities. Y Arvind, manager of public relations at the Sri Sathya Sai Baba Institute of Higher Medical Sciences, says that the list of patients is endless. ‘We have patients throughout the day and I must tell you that we are proud of our waiting list. We meet every patient and we never promise what we cannot deliver. But we only deliver the best here. The doctors meet and evaluate each and every patient who comes here. The cases are taken up for treatment depending on their urgency,’ he added. Every patient receives the same treatment here, free-of-cost. ‘The idea is that each patient is at the same level and if you do not pay for your treatment, then everyone is on par,’ explains Arvind proudly. The hospital is equipped with a fully automated information system which takes care of the patient data. The hospital also maintains a manual record of the data. The super specialty hospital, with a built up area of 3,54,000 sq feet, houses 333 beds, eight operation theatres, six intensive care units, two cardiac cath labs and a 24-hour emergency unit. This state-of-the-art hospital, with a dedicated team of expert doctors, is also remarkable due to its Indo-Saracenic architecture and magnificent gardens. How does the hospital dispense free medical treatment to so many patients? All the funds for the hospital come from the medical trust, which in turn receives the money in the form of donations from various philanthropists and devotees of Sathya Sai Baba. Arvind explains that on an average, the hospital authorities spend Rs 50 lakh a month on surgeries, treatment, maintenance cost and staff salary. ‘We are able to manage this thanks to resource optimisation. For example, we don’t waste paper. It is compulsory for anyone using a note to use both sides of it and not throw it away after writing on only one side,’ Arvind explained. The doctors have been instructed not to conduct medical counseling, but to conduct patient counseling for every patient. The doctors draw up an emotional profile of the patient to figure out the route of his emotional imbalance. This understanding helps the doctors in keeping their patients calm, and studies have proven that a calm mind helps heal a patient better. Sri Sathya Sai Baba‘s first initiatives in the field of medical care began with the Sri Sathya Sai General Hospital, Prasanthi Nilayam, which was inaugurated on October 4, 1956 as a 12-bed facility for serving the poor in Puttaparthi and the surrounding villages. The initiative was aimed at giving free healthcare to all the patients seeking treatment at the hospital. Soon, the hospital began to attract patients from all across Anantapur, adjoining districts and other states. Over the years, the SSSGH grew from a single room dispensary to a sizeable general hospital with 90-bed capacity, treating patients suffering from various aliments. The Out Patient Department in the hospital now handles nearly 600 patients daily on an average. In 1976, a second hospital, Sri Sathya Sai General Hospital, Whitefield was inaugurated by Sri Sathya Sai Baba in Bangalore. He also founded the Sri Sathya Sai Medical Trust in September 1991, to set up super-specialty hospitals to provide quality medical care to needy patients irrespective of caste, creed and religion. 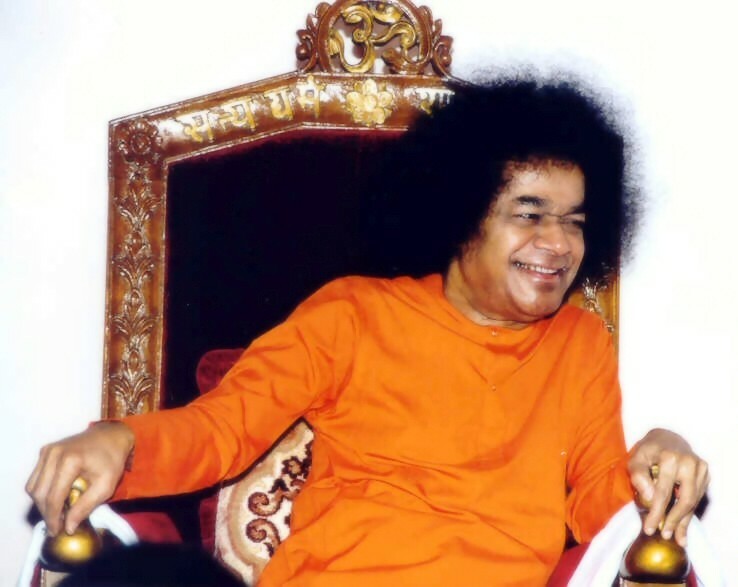 The first venture of the Sri Sathya Sai Medical Trust, towards providing high-tech tertiary medical care, was in the form of the Sri Sathya Sai Institute of Higher Medical Sciences, Puttaparthi in November 1991. The institute provides state-of-the-art tertiary medical care absolutely free of cost to all those who came to its portals. This super specialty hospital treats diseases related to cardiology, urology and ophthalmology. After the success of the super specialty venture in Andhra Pradesh, the government of Karnataka wanted Baba to start another super specialty hospital in Bangalore and offered 53 acres of land to build a super specialty hospital in its suburbs. The Sri Sathya Sai Institute of Higher Medical Sciences, Bangalore was inaugurated on January 19, 2001. 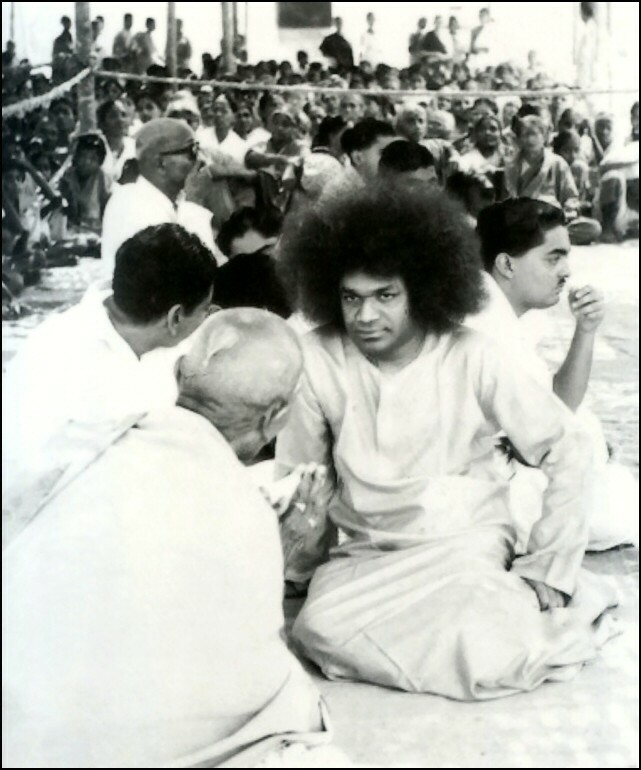 Being a Sathya Sai Baba Student trained under Swami’s watchful eyes for years, Sri V. Vijayakrishnan associated himself with the Sri Sathya Sai Seva Organisation immediately after his studies. He utilised the great opportunity to participate and witness the amount of work that Bhagawan’s organsiations undertake. To involve oneself in any of the activities, requires conviction and courage – conviction that one is obeying the teachings of the Avatar and the courage to traverse the indicated path against all odds. A gem from Fragrance – A Tale of Love, souvenir brought out by the School of Business Management – Accounts and Finance, Sri Sathya Sai University. Hot sun… humid air…. smoky roads… It was a normal day in Chennai. A Sai devotee was driving her car. A police constable stopped her vehicle. She wheeled her car to a halt. The constable said, “Why are you speaking over the mobile phone while driving?” She opened her hand bag and showed the mobile and said “Sir, I was not using my mobile. It is in my hand bag”. Since the constable had an unexpressed hidden motive, he was not ready to believe her. An argument ensued. Slowly people gathered around. But she was not willing to monetarily compensate the constable to escape the embarrassment. Suddenly a police vehicle arrived. A well dressed police officer got down. The constable, noticing the officer, immediately saluted and explained the situation. The officer turned to the devotee and looked at her and then at her car. There was a photograph of Swami pasted on the front glass. The officer then enquired whether she was a Sai devotee. She replied in the affirmative and said that she was a State office bearer in the Sri Sathya Sai Seva Organisations. Immediately the police officer told the constable that since she is from the Sai Organisation she would not lie and hence he should let her go. The constable obeyed with a sullen face. When we are ready to uphold Swami’s teachings against all odds, His Grace will surely flow! 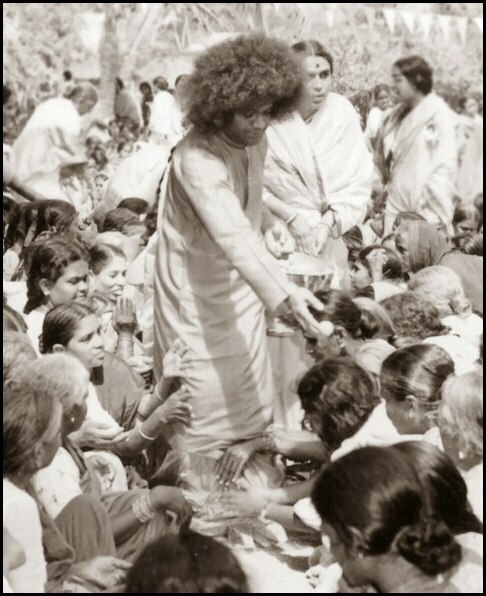 When Swami says, ‘Our life is His Message’, it is not a mere aspiration of Bhagawan, but the desire and expectation of the world. Apart from being a privilege, the titles ‘Sai Student’ and ‘Sai Devotee’ attaches additional responsibilities. The respect shown to any Sai Student or to any devotee is not to that individual but to the message that he or she represents. And the message is ‘Selfless Service with Abundant Love’. With every passing day, I understand more clearly the Vision of Bhagawan and the depth of His Teachings. The experience of being a student in Swami’s Educational Institution expands one’s vision and gives clarity. We would have heard Swami saying that the four pillars of society, namely, Vidyalaya (educational institutions) , Bhojanalaya (food houses), Vaidyalaya (medicare centres) and Devalaya (temples) should generally be left to the benevolence of the benefactor and should not be priced. 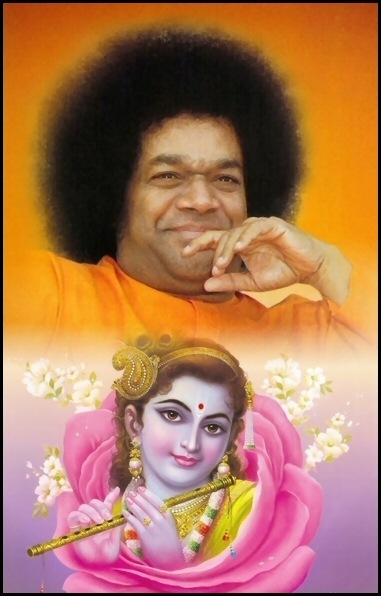 Bhagawan therefore, went on to establish Institutions providing various services free of cost. It was a pleasant day at Sundaram and I was with the Sai Samithi State President. An old woman with a helping stick walked in with great difficulty. She stopped a passing devotee and showing a small old bag, asked as to where she could donate the money. The devotee pointed to the office and guided her. Then she came into our room and opened the small old yellow bag which contained some money. She slowly laid the money on the table and said, “Give this money to Sai Baba because He is giving water to us. We suffered for many years without water. I sold my belongings and this is all the money that I could get. Please give it to Him and ask Him to use it for our water project.” She had read some newspaper reports on Swami’s water project in Chennai. And she further added, “Because this project is for the benefit of all, I decided to dedicate everything.” Bhagawan inspires us to practice values and ensures the blooming of the goodness of human nature. It was the first day after the devastating Tsunami hit the coastal areas of Tamil Nadu. We immediately rushed to the coastal districts. Being the State Youth Coordinator, a greater responsibility rested on my shoulders. The Nagapattinam Collector requested us to take care of the relief operations and body recovery activities at Velankanni, a small pilgrim town near Nagapattinam which was one of the worst affected areas. We, the Sai Youth numbering around fifty, immediately plunged into the work recovering bodies. The Tsunami hit on the day after Christmas and Velankanni was a Christian pilgrim centre. One can imagine the extent of loss to human lives. The youth members were all from far off towns with a good financial background too. On the first day we did not have any protection material with us. But we all knew that it was Swami’s work. As we were cleaning the debris, a middle aged man came to us and said, “This was where my house was yesterday, and today it is in shambles. Moreover, my six year old daughter is missing. So could you just see whether she is caught anywhere in this rubble?” So we started carefully removing the debris. And after a few minutes we found his daughter. We slowly removed her body and placed it carefully on the ground. He identified her as his daughter and started wailing but was not prepared to touch the body of the child. A father was not ready to touch the decayed body of his own daughter, but the Sai devotees were ready to work with those bodies – all in the name of Bhagawan! Many organisations later joined in the recovery and relief work, but there was a significant difference. Members of many social service organisations got themselves photographed, gave press reports and the publicity went on unabated. But here was a group of devotees, working silently and relentlessly, shying away from all potential publicity, only for the labour of Love – for the relationship with God. Can the joy of being in Love with Bhagawan ever be explained? Can the joy of working for Bhagawan ever be worded? These are feelings beyond the expression of human language. Each moment, when we reflect and realise that we are the messengers of Bhagawan, every human cell gets infused with energy. This allows the blooming of the inner character shelled in devotion, that spreads the fragrance of selfless service permeated with abundant love. When the Divine Painter takes the brush and colours the canvas, can the shades be anything but beautiful? When the Divine Sculptor chisels, can the statue be anything but exquisite? When Absolute Wisdom decides to teach, can the student ever be other than one of blemishless character? And can I ever express fully the privilege of being one such Sai Student? BANGALORE: Premajyoti, an exhibition of the social welfare initiatives of Sri Sathya Sai Baba, will be inaugurated by minister of state for surface transport K H Muniyappa at Palace Grounds on Friday. The exhibition will showcase healthcare, education and drinking water projects. Free education is another of Baba’s initiatives. “Ancient Indian philosophy advocates it. If knowledge is available and shared free of cost, many more will be empowered,” Naganand added. The exhibition will include video presentations on the initiatives. It will be open between 10 am and 8 pm till September 21.